Ever wonder how a service that touts itself as “FREE” can operate if it doesn’t charge the client a fee? I was recently working with a client on the subject of medical and legal issues. She told me she had consulted with a placement agency who recommended several retirement communities her mother. 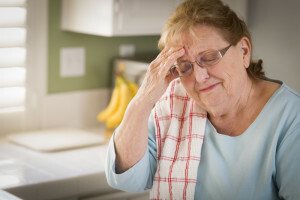 The places recommended offered appropriate care and had good reputations, however there were two other excellent residences right in this woman’s neighborhood that were neither recommended nor mentioned to her. I suspect that the smaller, local residences could not afford or did not wish to pay the fee that was required to be on the referral list of the placement company offering the FREE service. When I mentioned this to my client, she was shocked to learn that the FREE referral source she consulted only referred companies willing to pay a fee. While some companies would like to be on the referral list, they simply did not want or could not afford to pay the fee especially since there was no guarantee of business. Medicare prohibits companies from giving referral fees, however the assisted living industry is not federally regulated nor do most assisted living communities receive funding from Medicare unless they have a skilled nursing component. Many companies operating in the aging and healthcare industry “get around” the technicalities of offering or requiring referral fees by calling them a marketing expense. To play devil’s advocate, the fact that consumers don’t pay a fee is not always a negative. Let’s be practical, some consumers simply don’t have the financial resources to pay for advice, so in some cases FREE advice is better than no advice. A better way to operate in the FREE world is full disclosure. FREE services should disclose their payment arrangements with prospective clients so there are no surprises — especially when serving a vulnerable population like the elderly who isn’t savvy enough to inquire how companies can work for FREE. Why not give full disclosure, unless someone is embarrassed about how they operate their business? Wouldn’t it be nice if referral companies stated the truth, “Mr. Consumer, we don’t charge you because the companies we recommend pay us to market for them and we place them on our referral list.” We don’t refer to companies who cannot or choose not to pay to be on our list. We make our money by referring to companies on our list who pay us to be on our referral list so that we don’t have to charge you. The referrals we receive range from the hundreds to thousands of dollars. There may be better companies for you but they don’t pay us so we would not recommend them.” There’s nothing wrong with being honest. Many consumers today just aren’t savvy enough to know what questions to ask. The next obvious question would be, “If the companies you refer to pay you to represent them, what about the companies that can’t or don’t pay you?” It’s obvious, companies who do not pay are not recommended. And whose interests are represented? The companies who pay to be on the referral list or me the client? And how do you determine which company to refer me to? Is it the one who pays you the larger fee? The list of questions goes on and on. Referrals are complicated especially when money enters the picture. It’s my own personal belief that when a client retains a company, the company should represent the best interests of client — not the individuals or companies to whom they refer. It’s tempting to consider operating like the free referral services which is why more businesses in this model open every day. 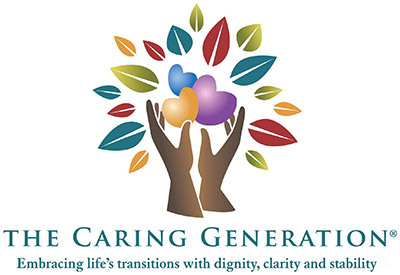 My business, The Care Navigator, works in the best interest of the client. The services we provide far exceed making a referral. 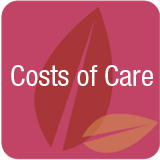 We don’t accept or give referral fees; we represent the best interests of clients by looking at the total picture of care and the long term. Do I have companies to whom I prefer to refer? Yes, these are companies that I have relationships with and who I know will do a good job for my client. I receive no financial compensation from these companies, although many have offered to pay me. I receive the satisfaction of knowing that these companies will bend over backward to make sure my clients are satisfied and will protect my reputation by referring them. Is every company I refer to perfect? No, no one is perfect; we work together to make sure that any issues that arise are addressed to the satisfaction of the client. And in the end, I receive my compensation from my clients to represent them and their best interest not the interest of another party willing to write me a referral check. So, next time you consider using a free service, ask the right questions so you know how you’re being represented. Then you can make an informed decision about the services you wish to receive and how they are provided.